Straight from the Harry & David bakery, it's the Ultimate Chocolate Cake. Enjoy an original specialty cake with a unique combination of decadent flavors. 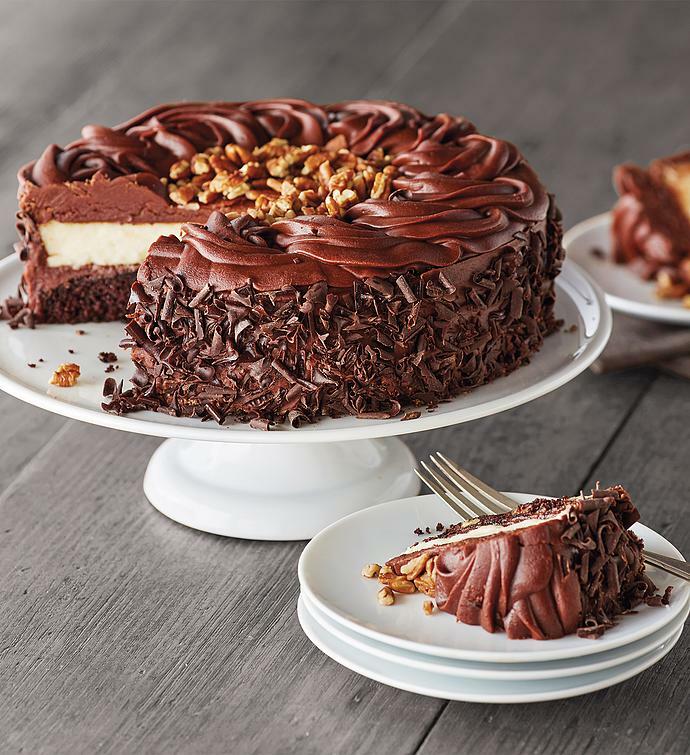 A layer of rich brownie fudge cake and a layer of our famous New York-style cheesecake are separated by delicious fudge filling. To top off an already extravagant dessert, our expert bakers decorate the cake with even more fudge frosting and add pecans for a finishing touch.